At the beginning and more specifically in 1890 the Maronites were a majority in Baabdat (the Maronite confession is an Eastern Catholic Christian branch subject to the authority of the Vatican and related to Saint Maroun). However, because of a civil conflict between the residents and the religious official authorities at that time, two thirds of the population of Baabdat became Protestants in 1892 and then within months became Latins. This occurred on January 6, 1893. Starting from that time, the main confessions in Baabdat were the Latin Western and the Maronite Eastern until others Christian families joined them. The maronite Mar (Saint) Elias Church that started in 1620 as a worship place and then was transformed in September 1702 into a church. 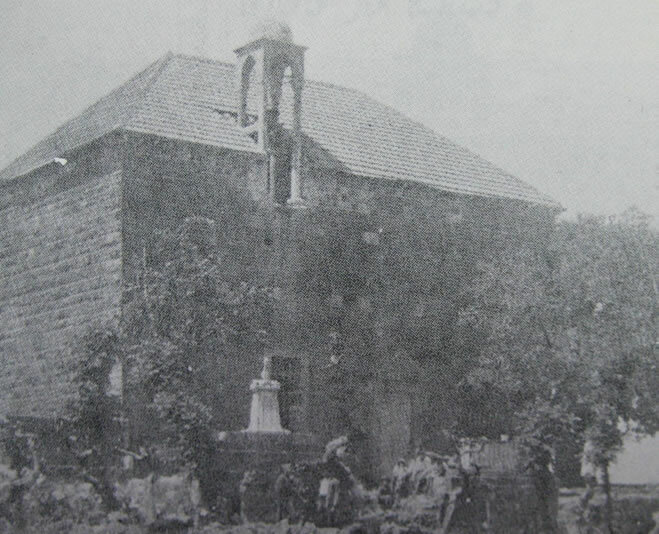 The maronite Mar Jeryes (George) Church built in 1660. The maronite Sayyidat Al-Najat (Our Lady of Deliverance) Church built in 1885. The latin Mar Antonios Al-Badwani (Saint Anthony of Padova) Church built in 1900. The greek catholic Malak Mikhaeel (The Angel Michael) Church built in 1963. The sanctuary of Sayyidat Al-Raja (Our Lady of Hope) built in 1955. The convent of Saint Antonios Al-Badwani for the Capuchin fathers built in 1900. The convent of the Sisters of Charity of Besançon built in 1913. The convent of the Sacrés Coeurs (Sacred Hearts) nuns built in 1991. The number of priests and nuns from Baabdat kept rising till it reached in 2008 the total of 70 priests, 19 sisters and 25 brothers. Two of the Capuchin priests who are Leonard Melki and Tuma Saleh were the martyrs of the Turks during World War I, as they were missionaries in Turkey. Their sanctification is under study by the Vatican since 2006.